Figure 3-7. Force Exerted on Piston. to produce small or very large operating forces and the timing of these forces can be regulated as desired. However, there are also certain disadvantages inherent in the gas system of operation and any successful design must take these disadvantages into account and make suitable allowances for them. In the following paragraphs, gas operation is analyzed to evaluate both the advantages and disadvantages of the system. One of the principal features of the gas system of operation is the large amount of operating energy which can be obtained from the gas actuating device. This energy is available because the gas system makes it possible to tap into the high gas pressure which exists during the propcllant explosion and to apply this pressure to a relatively light operating member while the bolt still remains locked. 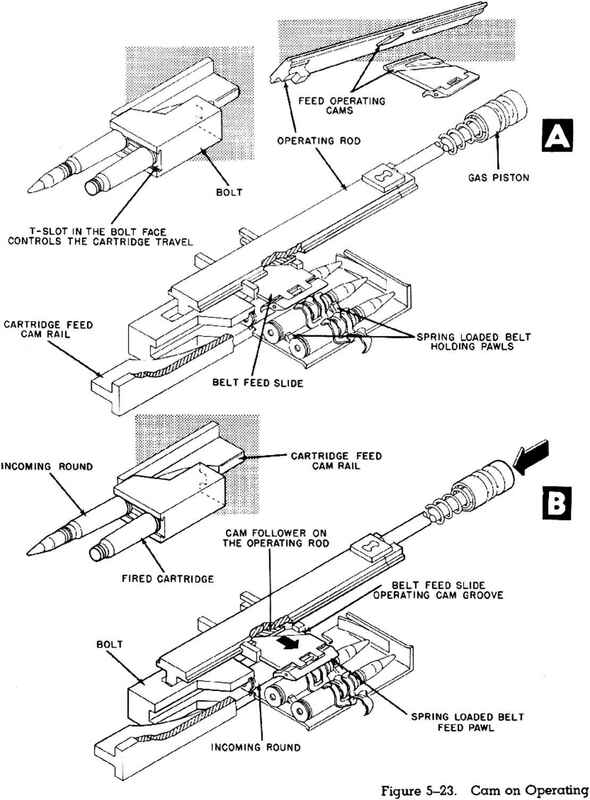 Thus, energy can be accumulated for later use without the ncccssitv for sacrificing rigid support behind the cartridge case during the early phases of the pro-pellant explosion. NOTE: By way of comparison, it should be pointed out here that energy is also accumulated in the recoiling parts of a gun employing the recoil system of operation. Although this energy is also accumulated during the early phases of the propcllant explosion while the bolt is locked, the parts which absorb the explosive impulse in this case are fairly heavy. Therefore, the amount of energy accumulated for a given impulse will be relatively small when compared with the energy imparted by the same impulse to a very light gas piston. 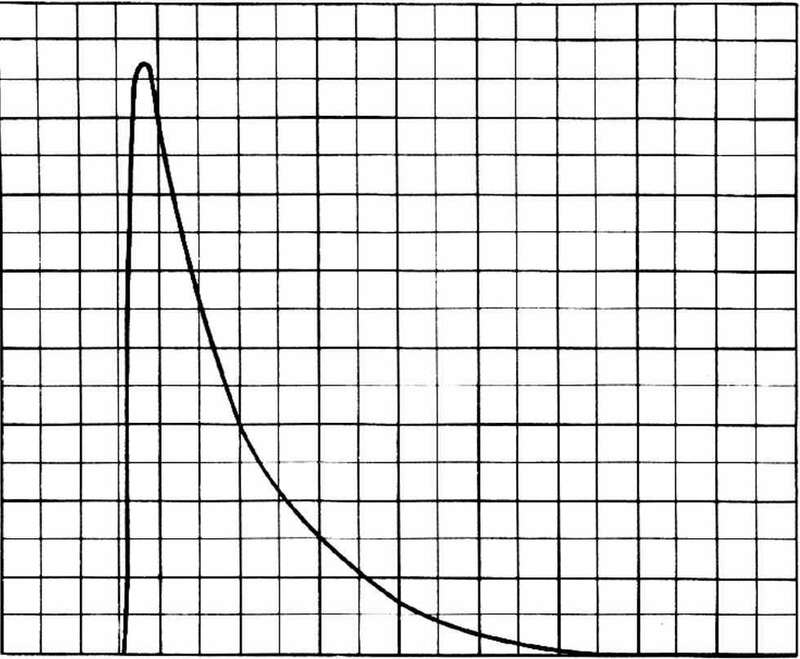 An idea of the magnitude of the energies and velocities which can be achieved by gas operation may be obtained by considering a specific example, In the preceding explanation of the principles of gas operation, a curve (fig. 3-5) was developed to show the variation of pressure with time in the gas cylinder of a sample 20-mm gas-operated gun. (This gun has a barrel length of slightly less than five feet and the gas port is located 2.5 feet from the chamber.